New Year is one time when everyone will be looking forward for a blast. Plans are made well before a month to welcome the upcoming year. Such is the excitement we have for New Year celebrations. Some love to go on trips as this is the holiday season. They would rather celebrate on a mountain top than a pub. However, it is the festive time when everyone are at their exciting best. In this article, we list out some basic tips for New Year travel which will help you have a easy-going trip. New Year is the peak time of tourism. So, never go to any destination without booking the accommodation before hand. 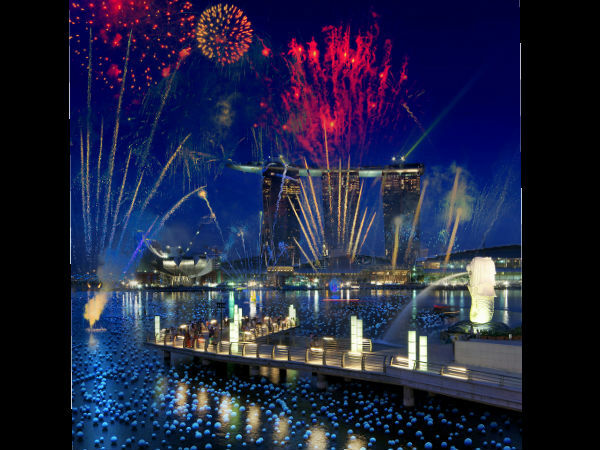 Maybe you may find some options in lesser-known destination but never in a famous place during New Year's Eve. Better plan and book it before 15 days in advance. If you are making sudden plans than find an unexplored place. New Year is the time for parties and booze but it is also when there are lot of restrictions. Therefore, never carry any alcohol products while travelling. Especially while doing inter-state travel. In India, it is illegal to carry sealed alcohol bottles from one state to another. Everyone will be in the partying mood but that doesn't mean you should forget some safety precautions. Especially, women have to be careful in overtly crowded pubs and places. Keep an eye on a few things while you enjoy the electrifying ambience. Please avoid driving or riding if you are drunk. It is better you spend the whole night at a pub or a resort instead of venturing out after heavy booze. Please mind about the safety measures. Remember that there are elders, patients and small children who want a peaceful time. So, keep your music down especially in the residential areas. There are time limits for night life in many cities. Better finish your parties well before time and get back or stay back in the same place till morning. Never venture out after the time deadline as there are chances of you getting caught. Be safe and have a wonderful New Year Party! Hope, you enjoyed reading these tips for New Year Travel.